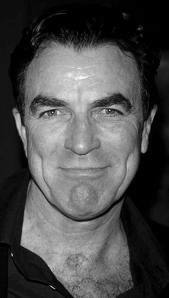 When an old 70s guy like Tom Selleck shaves his mustache he looks so different we hardly know him. When a long-haired girl goes short it’s dramatic too. Remember the cry that went up when Keri Russel lopped off those curls she had as Felicity? Great changes in appearance are jarring even for the person walking around with the new look. 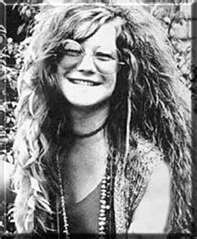 I’m jarred myself today, not by anything to do with my hair which, over the years has gone from looking like Janis Joplin’s…. 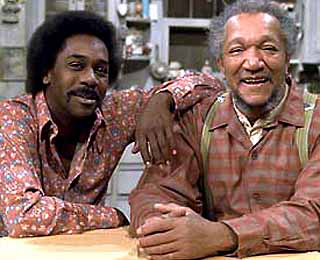 to looking like Demond Wilson’s as Redd Foxx’s boy in that great golden oldie Sanford & Son. It has gone bald. It took 15 years for the ivy to grow, as, inch by inch, it lifted itself to where its tiny green fingers now reach clear to the roof. How I have loved turn the corner at any time in the growing season and see how it has made the whole south side of the house shimmer and billow. 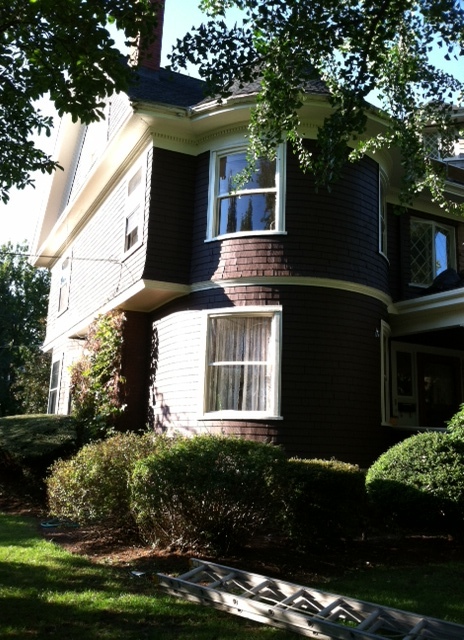 But ivy is bad for old shingles – new ones too, they say – and we did need to paint. We knew the men would soon pull it all down to do their work as they would have done if had David not decided he wanted to do the job himself, in the same way you want to be the one holding your beloved pet when the doctor inserts the final needle. He came home from work that day, and without even coming inside, set his things down on the grass and began pulling at the vines. I could hear the ripping sound from inside a closed window, and in no time at all those shiny green leaves lay face down in the dirt. 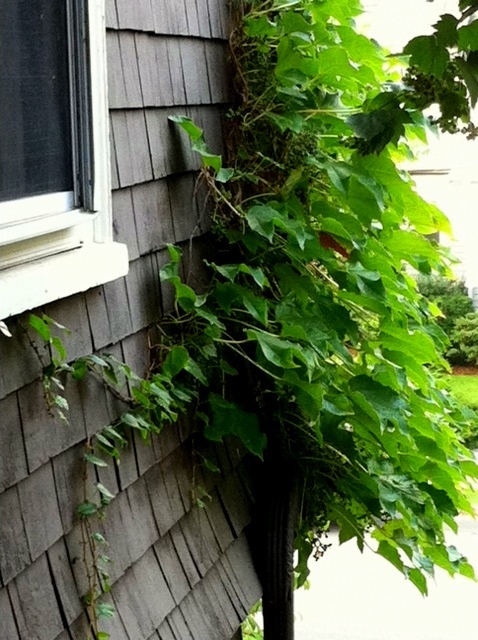 I have rooted for the ivy, even knowing it causes damage; I applauded it this past summer when for the first time it rounded the corner and began growing outside the bathroom window. To me it was beautiful. Anyway here’s how the place looks now: new and ordinary, not old and a-shimmer and it feels like such a loss. Still, there is beauty in the new dark-chocolate stain and the bright white trim. And the ivy, pruned to its roots, is still alive after all, and come spring, like the hair on the head of the vanquished Samson, will once again be growing, growing, growing…. 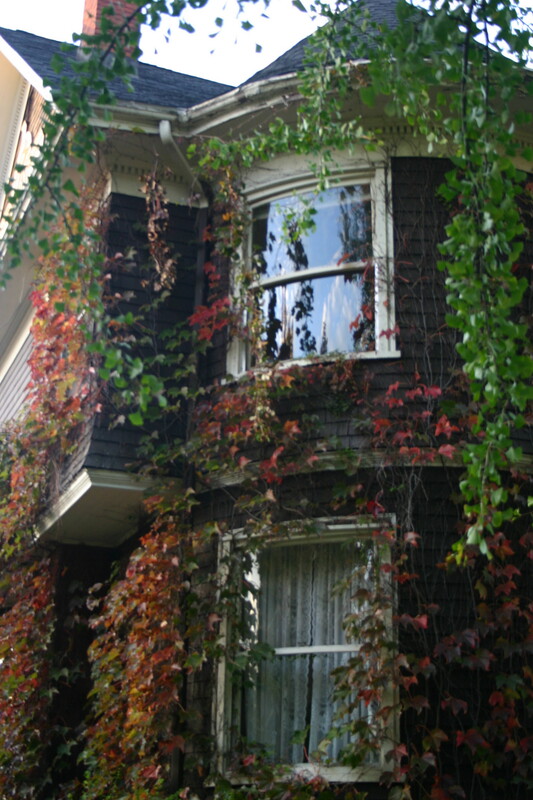 Right, the ivy will be back…and for now the lovely details of your house will be more visible. Win win! So how WAS your high school reunion ?